Andrew Garfield as The Amazing Spider-Man. A love scene between Peter and his leading lady-Gwen Stacy-played by Emma Stone. The second of this summer’s three highly anticipated superhero movies is now in theaters. “I really hate spiders, but I bet this will be great,” was what I said as I sat in my seat. That statement held true the entire movie. This new Spiderman movie is action-packed, hold on to your seat, full-of-love-and-lessons type of movie. The new Spiderman (Peter Parker) is played by Andrew Garfield and Spiderman’s love, Gwen Stacy, is played by Emma Stone. I’m usually not a fan of sequels having new characters completely but this was a refreshing change. The actors could not have been better cast. Director Marc Webb did a brilliant job of creating dramatic and visually stimulating scenes. They had me hanging on to the edge of my seat. 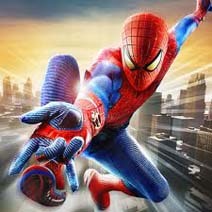 The 3D feature makes everything feel as if you are flying through the streets of New York City along with Spiderman. What would it feel like to free-fall from a high surface? Put on those glasses and you’ll find out! Not only is this movie a very exciting two hours and seventeen minutes of action, it’s also wrought with great love and emotion. The relationship between Peter and his family was touching: showing that not all family situations are “normal,” but that they can be full of love. Peter Parker took doing the right thing to a whole new level. The subtext was encouraging and upbeat: never doubt that you can accomplish the extraordinary, no matter who you are. Peter Parker and Gwen Stacy’s love is so true and sweet. They have the simple kind of shy love until, of course, she learns he is Spiderman. Who doesn’t want to be taken on a swinging-from-the-rooftops kind of date? It’s cute to see the young love between the two, full of witty humor. It will definitely leave smiles. This movie has a little something for everyone. The action lovers will be satisfied, the romantics will be heart-warmed, and the family will be left with a great message. This is a great movie and I’m already looking forward to the next. I recommend this movie to everyone!